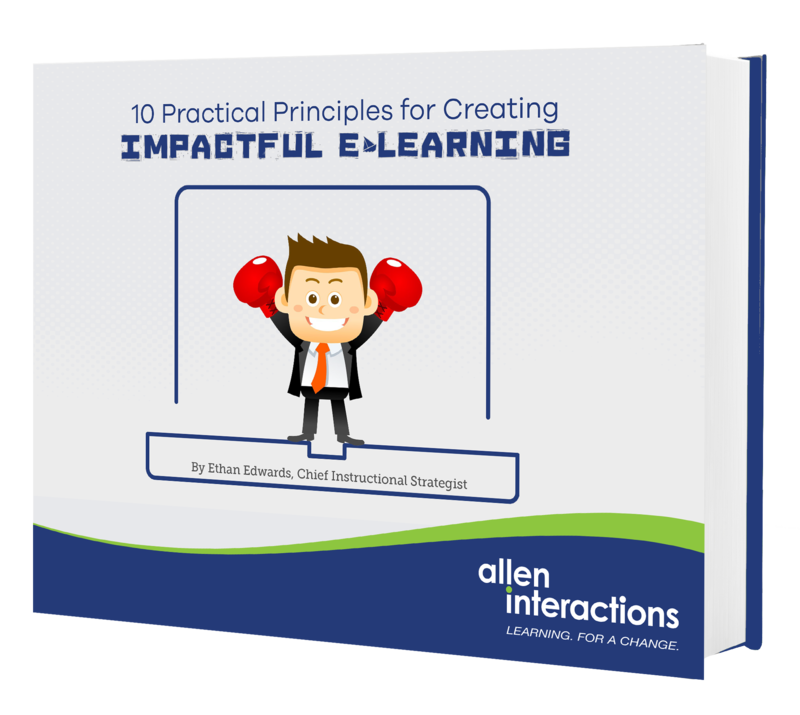 In this free kit, get access to the webinar, infographic and e-book for 10 Practical Principles for Creating Impactful eLearning! Instructional designers of e-learning face a constant challenge of how to create learning experiences that actually make a difference. Too many of the accepted and easy approaches result in e-learning courses that fail to motivate, engage, or empower learners. Sophisticated simulations and technically-sophisticated designs seem out of reach for many instructional designers. Actionable tips to implement these principles into your elearning designs. In this 1-hour webinar, Ethan will share 10 straightforward and powerful principles to guide effective elearning design. Appropriate for any content and applicable to any authoring tool, these principles will empower designers to make concrete design changes that will improve the impact of their elearning courses. Perfect to hang at your desk and share with your peers, this exclusive infographic highlights the 10 Principles for Creating Impactful elearning in an easy to read and visually appealing format!